Hi everyone!! 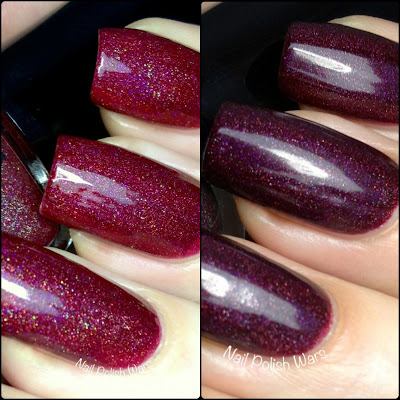 I have the two new limited edition shades from Glitter Gal for you today!!! 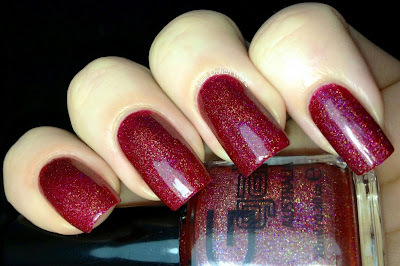 Hot Chilli is a fiery deep chili pepper red holographic. The formula was very rich and applied quite easily. I am absolutely mad for this shade!! It's so spicy and fierce! Shown above is two coats of Chilli Pepper indoors. Shown below is two coats of Chilli Pepper outdoors. Transfusion is a deep berry holographic. The formula was rich and easy to apply. 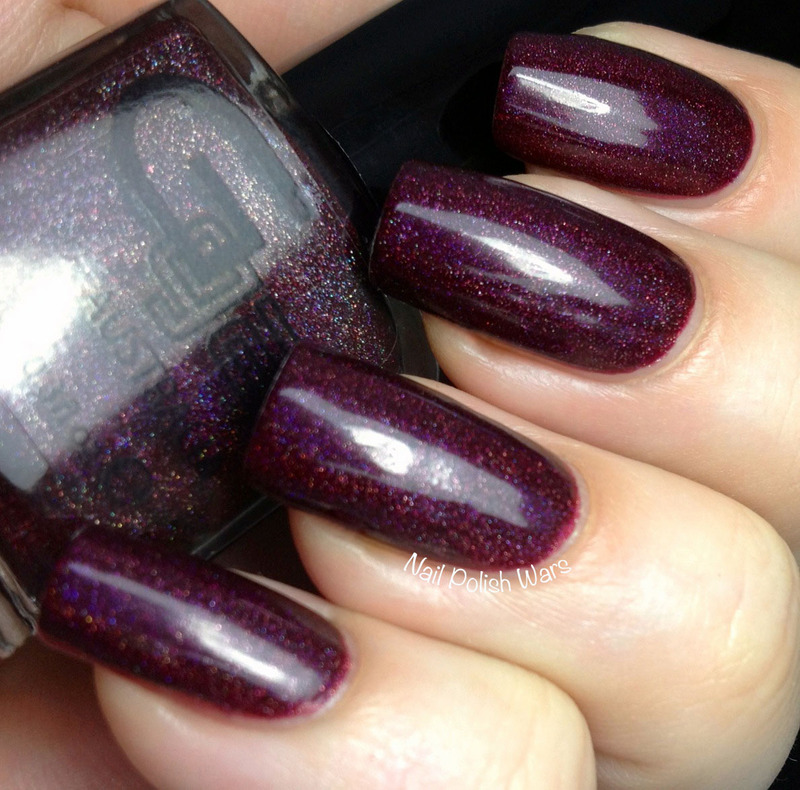 I really don't recommend using a top coat on this one, as it seriously cuts down on the holo effect. It also dries very quickly, so it isn't too much of an issue. This is one of the most gorgeous holos that I have ever laid eyes on. 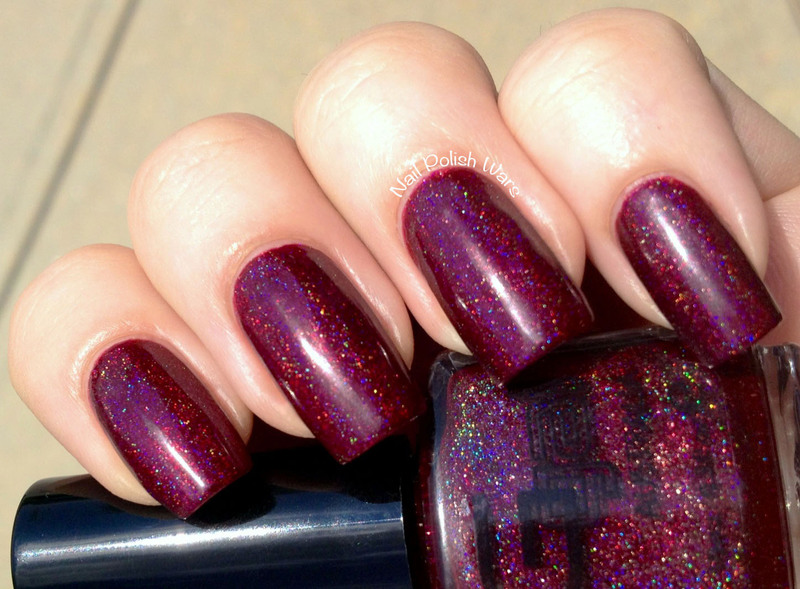 To be honest, I'd be in lust with this color even without the holo!!! Shown above is two coats of Transfusion indoors. Show below is two coats of Transfusion outdoors. Glitter Gal is available at many online locations, such as their official website here and Dusk to Dawn Beauty, which is my favorite US Glitter Gal retailer. They are only available in 10ml sized bottles, that are always “Big 5 Free”, cruelty free and Vegan friendly. Be sure to check out Glitter Gal on Facebook, and follow them on Twitter to stay up to date on the latest and greatest from this amazing line. 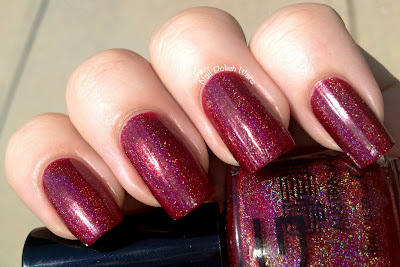 Oh my goodness, they both are gorgeous but that holo shimmer in hot chilli??? GOOD LORD! I love the look of both of these. These are both very pretty! They remind me a bit of Zoya Aurora and Zoya Blaze. I definitely need both of these. They're gorgeous! !